Richard Sherman, CB, Seahawks (NFL): All of the hype and anticipation for Dez Bryant’s return to the Cowboys after missing six weeks with a broken foot could’ve been put on hold for another week, because Sherman pretty much took Bryant out of Sunday’s game right after it started. 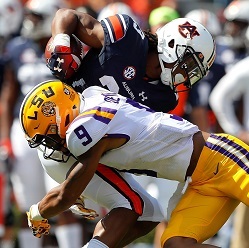 Sherman was credited with four pass breakups on his way to allowing Bryant just two receptions for 12 yards. Seattle needed someone to cancel out Dallas’ top weapon, too, because their offense wasn’t exactly lighting it up in the 13-12 victory. 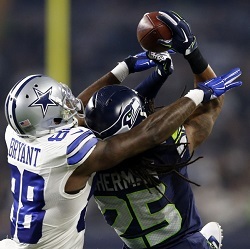 Watch how Sherman shadowed Bryant in this NFL.com video.